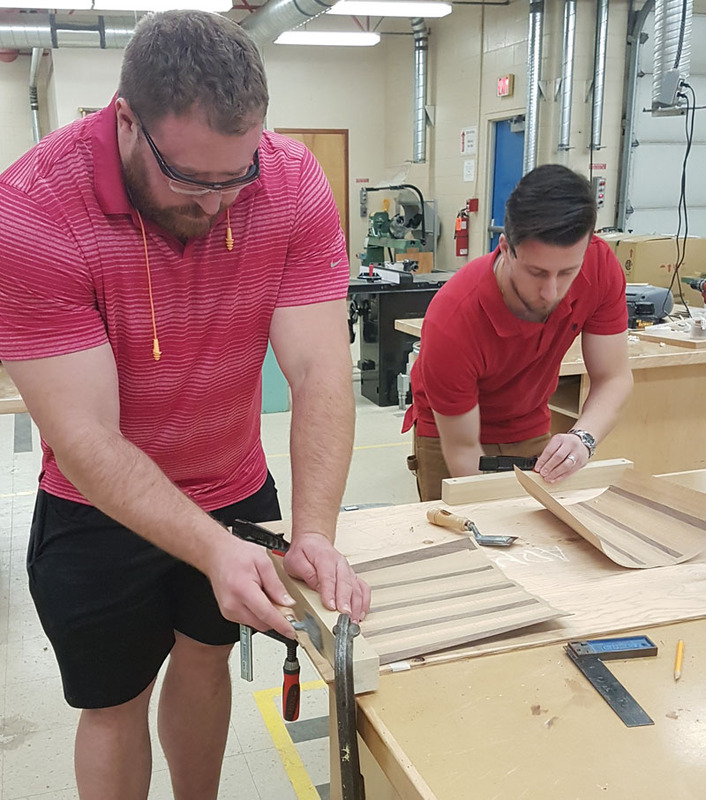 Mick McGowan is training high school woodworking instructors in Calgary to become accredited skill evaluators through the Woodwork Career Alliance. Veteran cabinetmaker and college woodworking instructor is working to launch WCA EDUcation programs in Calgary high schools. 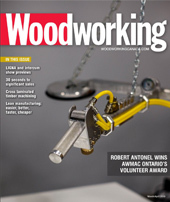 Mick McGowan is leading the charge to spark Canadian interest and involvement with the Woodwork Career Alliance of North America (WCA). 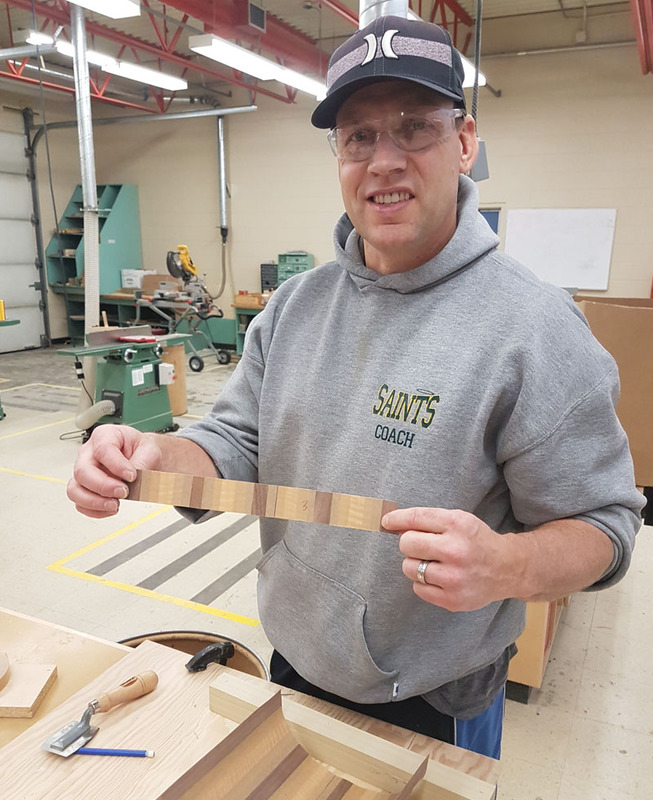 McGowan, an accomplished cabinetmaker, college instructor and member of the WCA Board of Directors, is working on multiple fronts to help the WCA woodworking skill standards and Passport credential program gain traction in his home province of Alberta and beyond. 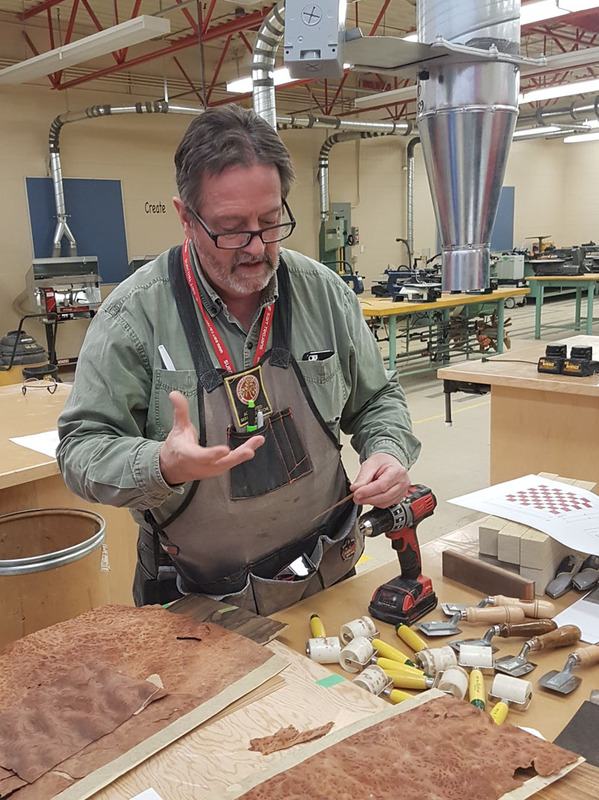 Ranking high among his WCA-related projects, McGowan was contracted by the Calgary Board of Education to train about a dozen high school woodworking instructors to become WCA accredited skill evaluators. 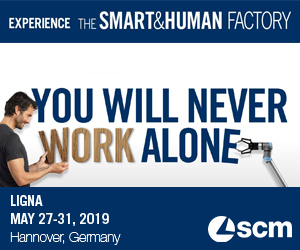 That big need to be filled is bringing more skilled talent into the woodworking industry to alleviate a critical challenge faced by wood product manufacturers throughout the United States and Canada. The WCA was established in 2007 to develop and grow a skilled workforce. It has created more than 240 performance-based skill standards used to evaluate the proficiency of student and professional Passport holders. They can grow their careers and earnings potential by earning skill credits added to their personal Cloud-based Passport account. McGowan has the credentials and connections to take on the job of launching Canada’s first WCA EDUcation programs. Calgary high school teachers James Loach, left, and Stewart Price participate in a training class taught by Mick McGowan. McGowan has been a professional woodworker since 1976 when he began his apprenticeship and eventually achieved journeyman cabinetmaker status. He has operated his own custom woodworking business and has instructed woodworking courses at SAIT Polytechnic since 1994. For the past 12 years McGowan also has been very active with Skills Canada, helping to coordinate the annual competition in Alberta, representing the province on the national Skills Canada technical committee and as expert or trainer with Canada’s World Skills team since 2005. For his efforts, he was named 2016 Skills Canada Alberta Volunteer of the Year. His volunteerism has extended to the WCA as a board member and author of woodworking skill standards. Just over a year ago, the Calgary Board of Education reached out to McGowan to provide professional development training for high school woodworking instructors. Woodworking is included in the Calgary public school system’s Career and Technology Foundations program. McGowan said the monthly training program he created revolves around the WCA skill standards and Passport program. “Each of the teachers has his own Passport and is earning tool stamps,” McGowan said. “So far training has involved everything from making push blocks for a table saw on a jointer to making five-piece raised panel doors. They have all received training on table saws, chop saws, jointers, planers, table routers, handheld routers and working with veneer. Above all else, my classes emphasize safety. Travis Visscher, a high school woodworking instructor in Calgary, is among those being trained to become accredited skill evaluators of the Woodwork Career Alliance of North America. While many industry professionals claim it’s extremely challenging to get kids excited about woodworking, McGowan disagrees. “I don’t think it’s hard to get kids interested about woodworking. I think a big part of the problem is in the traditional model. We really need to have programs augmented with manufacturing automation without throwing the baby out with the bathwater. Through his involvement with Skills Canada, McGowan has been able to inform fellow members of the technical committee about the WCA. “The committee is made up of educators representing each of the provinces. They all say they see the value of the WCA, but none have acted on it yet.